Space suits are iconic—a visual metaphor for the excitement of the original Space Race and mankind’s first forays off our planet. While many still associate space travel with the puffy white suits worn by astronauts in the 1960s, a proliferation of sci-fi movies in the intervening decades has opened our imaginations to a wider array of possibilities. Far from being fantastical, these new spacesuits reflect an evolved understanding of the considerations involved in protecting the human body from harsh environments outside Earth’s atmosphere. As agencies from across the globe prepare to send crewed missions to low-Earth destinations and beyond, the question of commercial spacesuits becomes a core consideration. The importance of developing high-tech, capable spacesuits is underscored by the high number of new options offered by various companies. Each new spacesuit option is engineered to meet the various needs of a wide array of ambitious commercial space ventures. Space suits, long the exclusive domain of a few legacy companies, are beginning to diversify. Over the course of humankind’s presence in space, government agencies—namely NASA and Russia’s ROCOSMOS—have been the primary consumers of spacesuits. Most of these suits have been designed to be worn inside a spacecraft and aboard the ISS. This highly-restricted market has resulted in low levels of competition between manufacturers.1 Historically, NASA’s spacesuit needs have been met by venerable commercial manufacturers operating under cost-plus government contracts: namely, David Clark Corporation and ILC Dover Incorporated. David Clark Corporation has manufactured high-pressure suits since the 1940s, when their pressurized anti-G suits were tested for use by fighter pilots during World War II.2 These anti-G systems, called X-15 suits, eventually formed the basis for Gemini-era spacesuits. In 1965, during Ed White’s first spacewalk, DCC’s G4C suits were the uniform of choice for all NASA astronauts. 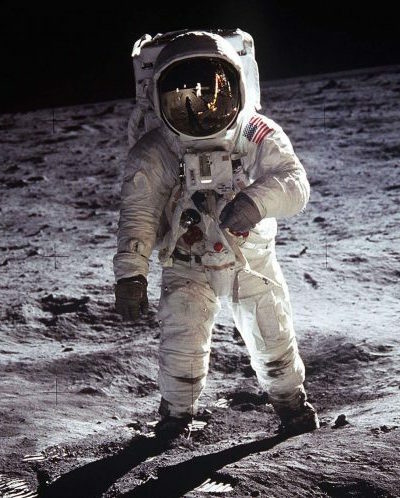 Up until now, spacesuits were designed by space agencies and produced by contracted manufacturing partners. As with many other facets of space exploration, this established framework is being reinvented by the entrepreneurial space sector. Final Frontier Design, Boeing, UTC, SpaceX, Oceaneering, Pacific Spaceflight, and others are all developing new high-tech spacesuits for the next phases of space exploration. The next generation of spacesuits is being designed with commercial end users in mind. Space suits have always been designed to be worn by a limited range of people. Astronauts are likely willing to deal with certain inconveniences—like limited mobility or visibility—in pursuit of scientific advancement. After all, it’s part of their job. For commercial users, however, a new generation of spacesuits will need to provide a certain level of comfort, commensurate with the money spent on a ride into low-Earth orbit. Commercial manufacturing ventures and design firms are proposing solutions that they hope will appeal to government space agencies and other space-faring customers. Gloves Are an Important Consideration. Spacesuits designed for deep-space travel and planetary exploration demand a different range of capabilities. In late January of this year, the MANIFEST for Human Spaceflight Act was introduced into U.S. Congress.14 This bill, if passed, would officially add crewed Mars missions to NASA’s formal agenda.15 It would also require NASA to outline a very specific plan, detailing step-by-step how the agency plans to get boots on the Martian surface. One key hurdle that NASA will need to cross is the problem of Martian spacesuits. Suits designed for wear by LEO passengers are limited to uses inside a spacecraft—so-called intravehicular activity or IVA suits. Boeing Blue suits, for example, are not sufficient protection for trips outside of a spacecraft.16 Suits capable of supporting excursions to a planet’s surface—extravehicular activities, or EVA—are a different beast entirely. Whereas IVA suits are designed mainly for “worst-case-scenario”-type situations upon entering and exiting Earth’s atmosphere, EVA suits must be capable of preserving a fragile human body in the vacuum of space. Suits currently available are not equipped to handle the extremes of the Martian environment, and the EVA suits required for on-Mars exploration will entail considerable innovation to be viable. Mars spacesuits will need to be markedly different from lunar suits in a few key ways. For one thing, gravity on Mars is much higher than on the Moon, which means that Mars-appropriate spacesuits will need to be far lighter than current lunar fashions while still providing adequate pressurization. A greater concern for suit designers is Martian dust—fine particles of sand pose a danger for pressurized spacesuits.17 To address these issues, space ventures are putting considerable effort into developing Mars-ready EVA suits that NASA could use in future missions. Players in the planetary EVA spacesuit race include United Technologies Corporation (UTC) and Massachusetts Institute of Technology (MIT). UTC is a longtime high-tech manufacturing player that has begun crafting spacesuits suitable for exploring the Martian surface.18 Researchers at MIT are also working to develop a skintight mechanical counterpressure suit that could be used on Mars missions. 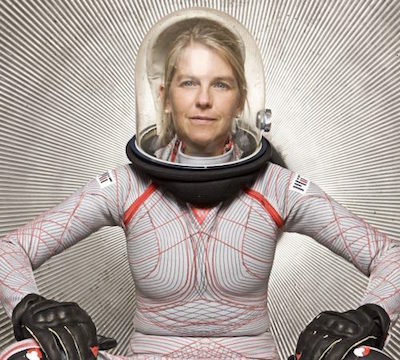 The MCP suit, called the BioSuit, is an initiative helmed by aeronautics engineer, MIT professor, and former deputy NASA administrator Dava Newman.19 The BioSuit may one day allow Mars-faring astronauts to explore the planet’s surface without bulky, gas-pressurized accoutrements.20 A crucial step in the march to Mars will be perfecting the suits that are worn when crewed missions arrive—we can expect to see major R&D dollars spent on fine-tuning these suits before they’re ready for in-space use. As an ever-increasing number of public and private space ventures and agencies continue to advance human space travel, spacesuit design and development is becoming central to the conversations being had around space exploration. There’s not doubt that—amidst all the excitement surrounding our return to crewed spaceflight—more prosaic space-travel considerations such as space “fashion” are often outshone by big-picture components such as space vehicles. But as entities around the world plan to send astronauts beyond low Earth orbit, reimagining the spacesuit is rapidly becoming a major priority and, therefore, a major opportunity for space angel investors to suit-up and get into the game. As opportunities for human space travel increase, the space fashion and apparel category will become one of the most unique and interesting investment opportunities for savvy angel investors. Sweeting, C. G. United States Army Aviators' Equipment, 1917-1945. Jefferson, North Carolina: Mcfarland & Company, Inc., 2015. Online. ILC Dover, Inc. Space Suit Evolution: From Custom Tailored To Off-The-Rack. From history.NASA.gov., National Aeronautics and Space Administration, 1994. PDF. Accessible here. "Mission Awards Secure Commercial Crew Transportation for Coming Years." NASA.gov. Ed. Steven Siceloff. National Aeronautics and Space Administration, 3 Jan. 2017. Web. 02 Feb. 2017. 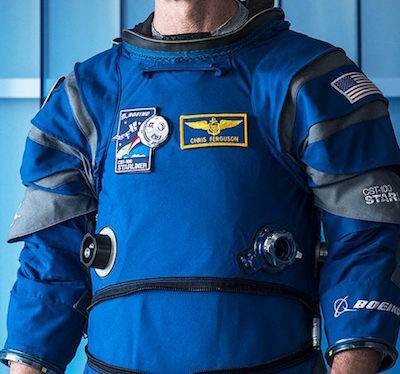 "Suit Up: The Starliner spacesuit is revealed publicly for the first time." Boeing.com. Boeing Company, 25 Jan. 2017. Web. 02 Feb. 2017. "Space Suits for the Mars Generation." IEEE Spectrum . Institute of Electrical and Electronics Engineers, Oct. 2015. Web. 02 Feb. 2017. "Firm Details: Final Frontier Design." SBIR.NASA.gov. NASA, n.d. Web. 02 Feb. 2017. 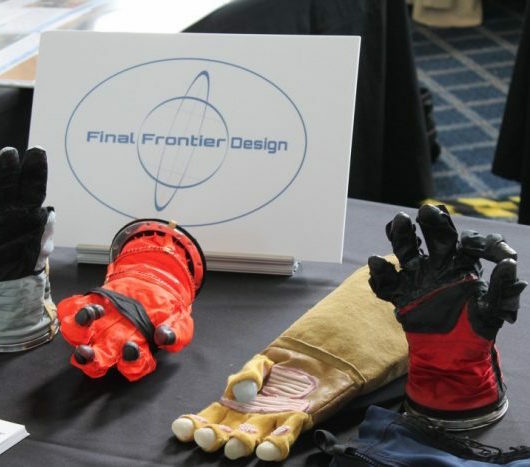 "Final Frontier Design Delivers MCP Gloves To NASA." Final Frontier Design. FFD, 28 Oct. 2016. Web. 02 Feb. 2017. Fernholz, Tim. "The spacesuit you could be wearing in a few years is designed in a Brooklyn workshop." Quartz. Quartz Media, 17 Mar. 2015. Web. 03 Feb. 2017. Gustafson, Andrew. "Inside Industry: Space Suit Maker Final Frontier Design at the Brooklyn Navy Yard." Turnstile Tours. Turnstile Tours, 23 Feb. 2015. Web. 03 Feb. 2017. NASA. Office of the Chief Technologist. NASA Awards $350,000 in Astronaut Glove Challenge. NASA.gov. National Aeronautics and Space Administration, 23 Nov. 2009. Web. 3 Feb. 2017. FFD. "Latest News." Final Frontier Design. Final Frontier Design, 28 Oct. 2016. Web. 03 Feb. 2017. MANIFEST for Human Spaceflight Act of 2017, H.R. 650, 115th Cong. (2017). Online. Foust, Jeff. "Legislation would require strategic plan for NASA human spaceflight." SpaceNews.com. Space News, 29 Jan. 2017. Web. 02 Feb. 2017. Stinson, Liz. "Boeing’s New spacesuit May Look Stylish as Hell, But It’s All Business." Wired. Conde Nast, 26 Jan. 2017. Web. 02 Feb. 2017. Rafols, Rodney. "New Space Suit For Mars Exploration Revealed." ITech Post. IQADNAT LLC, 16 Nov. 2016. Web. 02 Feb. 2017. McDonnell, Scott. "Connecticut company designing spacesuit for mission to Mars." WTNH Connecticut News. Nexstar Broadcasting Inc., 24 Jan. 2017. Web. 02 Feb. 2017. NASA. Dava Newman Begins Work as NASA's Deputy Administrator. NASA.gov. National Aeronautics and Space Administration, 18 May 2015. Web. 9 Feb. 2017. Newman, Dava. "Building the Future Spacesuit." ASK Magazine Winter 2012: 37-40. Academy of Program/Project & Engineering Leadership. NASA. Web. 9 Feb. 2017.